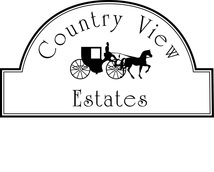 Country View Estates - CROCKETT HOMES INC.
Country View Meadows is the newest phase of Country View Estates, a subdivision in the Tuslaw School District on the Southwest side of Massillon. We are excited to announce that there are 10 new lots available! Enjoy the luxury of country living, while also enjoying the benefits of being near major shopping areas. The lots are nestled next to Community Park and are approximately 5 minutes from the Towpath Trail. Country View Meadows is within 5 miles of major shopping, and within 2 miles of major highways, 5 minutes from downtown Massillon, 10 minutes from Canton, 20 minutes from the Akron-Canton Airport, 25 minutes from Akron and 50 minutes from Cleveland.